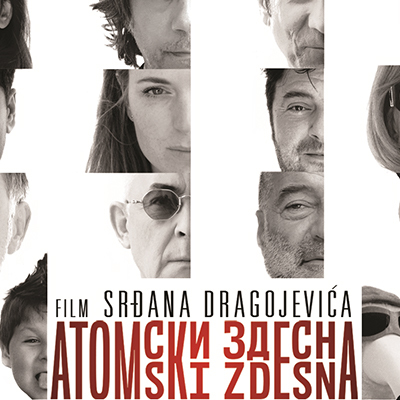 Production: Delirium film (Serbia), United Media (Serbia), Artikulacija Film (Montenegro), RTCG i RTS. MLADEN (44) Belgrade born, is a timeshare salesman at Croatian Holiday resort. He is having an affair with his colleague, SONJA (40), who is married to METOD (50) the chief sales manager who learns about his wife’s infidelity. He assigns Mladen the toughest client – Omer, a Bosnian war veteran, who doesn’t try to hide his aversion to Mladen. Everything becomes hopeless when Omer’s three year old son Svendy falls over the edge of the hotel terrace and ends up in a hospital. Grim mood that prevails among the potential buyers is about to ruin the sales. Sonja and Metod blackmail Mladen to continue the sales at the hospital while Omer and his wife are waiting for their son’s operation.